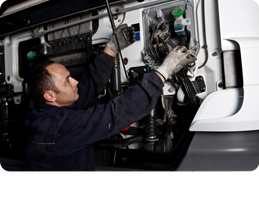 To ensure great service we run a modern fleet of vehicles that are perfectly suited to do the job. 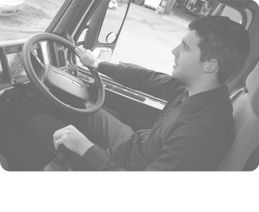 Fitted with GPS Tracking systems and in-cab communication systems so we are able to monitor your delivery at all times. 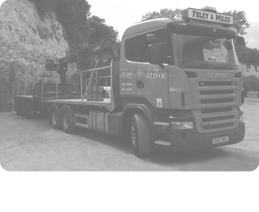 Depending on the load and delivery site conditions, our range of vehicles will deliver for you. Our friendly team is waiting to answer any questions you have. We are always conscious of how we represent our clients on site so we keep our fleet constantly maintained to a high standard. All of our vehicles are fully complaint with the London Emissions Zone. The draw bar with crane carries more than the rigid vehicle and if required can be split by dropping the trailer to gain access to almost any site. Despite its overall length of 17.5 metres (57′ 4″) it is therefore ideal for very tight sites where the economy of large loads can be maximized, therefore reducing unit cost for the customer. This vehicle is CrossRail Compliant. For more information please contact us. The six wheeled rear mounted crane is ideal for smaller loads or tighter access. The advantage of having a rear mounted crane means you have the flexibility of where the product can be placed on site. The eight wheeled rigid carries 18 tonne and can get in to almost any site. It is therefore idea for very tight sites where small loads can be afforded. The eight wheeled rear mount rigid crane carries 18 tonne and can get into almost any site. The advantage of having a rear mounted crane means you have the flexibility of where the product can be placed on site. Artic Cranes are suitable for most applications. With rear steering trailers, modern, restricted sites can normally be accommodated. With high carrying capacity, these vehicles offer great value for money. Without the weight of a crane to carry, these lorries carry our heaviest loads making them the most economic where void or palletized loads need to be delivered. Alloy bodied tipping trailers, capable of carrying various loads from aggregate to crushed glass. Due to the greater carrying capacity, bulk tipping trailers are a more economical alternative to the standard 8 wheel tipper. Suitable for delivering bulk materials including sand, gravel type 1 etc. these rugged vehicles are loaded by the customer and self-tip at the delivery point. All of our bulkers are fully sheeted and equipped with on-board weighing scales. All of our tipping fleet are fitted with reversing cameras and other related safety equipment. A fantastic addition to our aggregate tipping fleet. This Steel bodied vehicle can carry granite setts, large cobbles and pebbles along with more standard products such as sand, ballast, type 1, crushed glass and decorative aggregates (sorry no muck away). These rugged vehicles are loaded by the customer and can self-tip at the delivery point. All of our tipping fleet are fully sheeted and are fitted with reversing cameras and other related safety equipment.